Elf-Dance-Techno-Folk could be a proposed genre for this piece. It has a folky ethnical rhythm. First slow, and then it speeds up. Nearly all instruments are synthetic. In the beginning most are Chromaphone modelled instruments and later some Omnisphere arpeggiated instruments are added. Yes, my two Christmas gifts to myself. 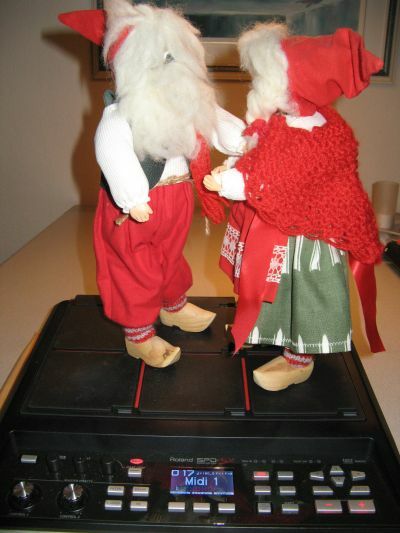 Drums are played by letting the Elves on the picture dance on my Roland sample pad, as you can all see on the picture.